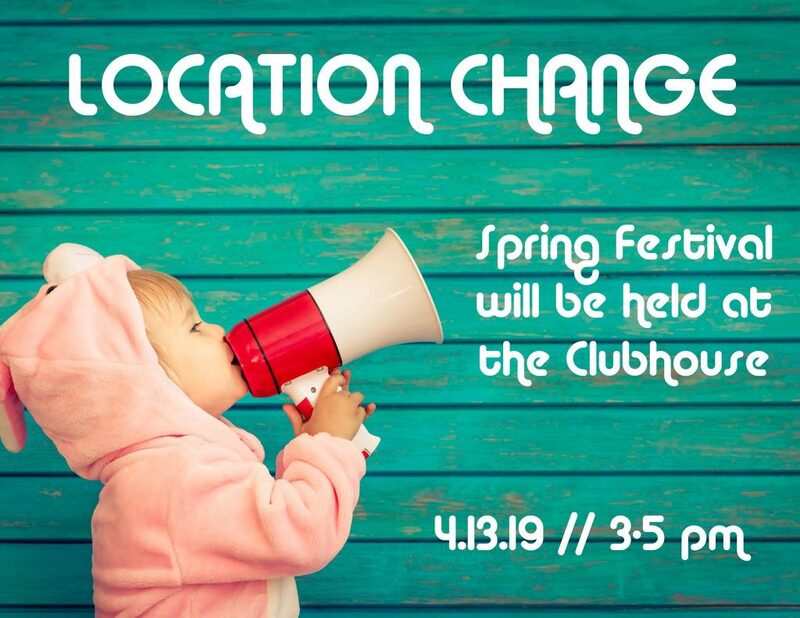 The Spring Festival has been moved to the Clubhouse. We hope to see you there on Saturday April 13th from 3-5pm. Please note that Fieldtrial Circle will be closed between Adams Point Drive and Sporting Club Dr to through traffic from 12-6pm on Saturday, April 13th. Thank you!